After wearing to death and repurchasing the same Asda watch for the past five years I thought it was about time I upgraded to one that will hopefully wear better and last longer. 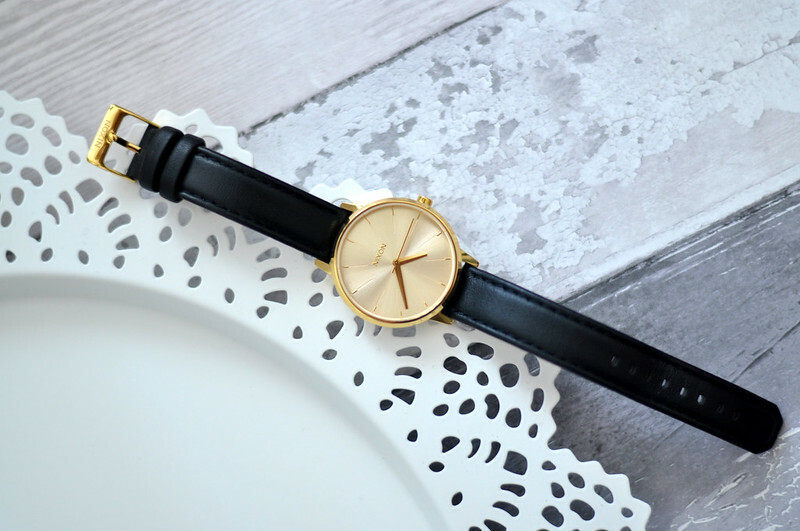 Enter the Nixon Kensington Black Leather Watch. A birthday present from my parents and I couldn't be happier with it. It's plain and simple but goes with any outfit you could imagine, just what I wanted. While I love the rose gold Michael Kors watches, if I'm going to spend that much money or get it as a present I want to know I'm going to get a lot of wear out of it and it isn't going to out of style in a few years time. 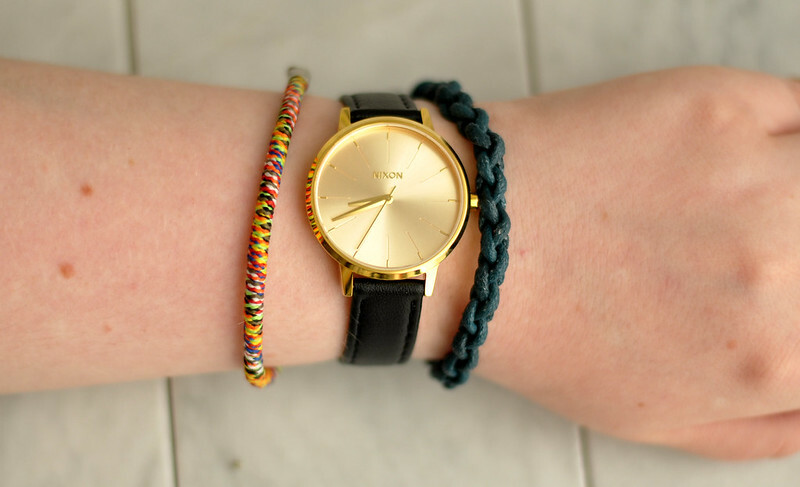 A great discount code also knocked a bit off the price so if you're thinking of buying a Nixon watch, keep an eye out on ASOS which is what we did. As I knew what I wanted for my birthday a few months before it we were able to wait until a 20% code was floating around which brought the price down. Also on my watch wish list is the Nixon Watercolour & Molasses Acetate, Daniel Wellington Classic Bristol and Olivia Burton Big Dial Tan. That's absolutely beautiful, and so classic too! Love it. Gah, this is so pretty! V jealous :) Lovely photos, as always. 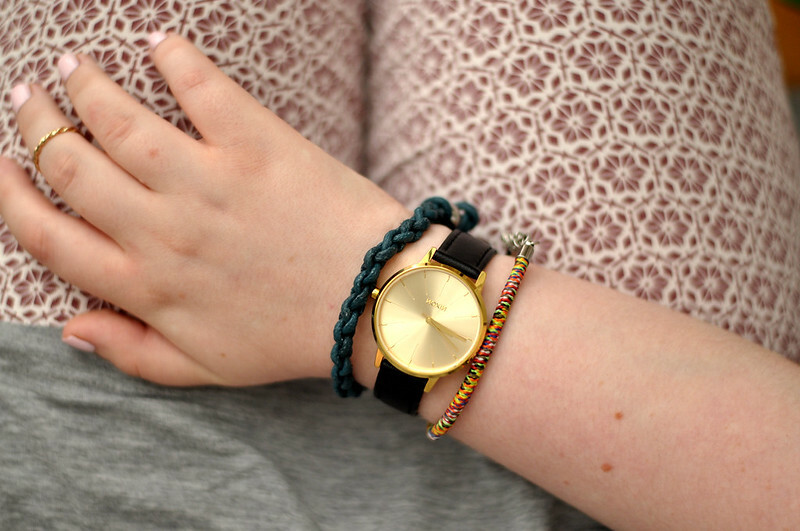 Such a lovely little watch. I haven't worn one in ages but I always went for a thin black strap as well. This is such a lovely watch. So simple and sophisticated! That's such a gorgeous watch! I love how it's so simple. I've had the Kensington in white for the past 4 years and I still get complimented on it. Goes with every outfit! And, as a bonus, the aftercare team are awesome. You can only get the batteries changed by them and even with all the add-ons they're really reasonably priced. Got my boyfriend the Men's Retro for Christmas this year. Beats a casio by a mile. pricey, but a really gorgeous watch!